In a medieval fantasy world where a handful of refugees from a Viking-like world now live in peace in a village of Shining Star people in the Great Turtle Lands, Greeta faces a dilemma. Although she longs to be married and have children, her sweetheart is balking. Something is wrong, and she suspects it’s because she looks nothing like any other young women. Instead of being petite and dark, Greeta is tall and pale. For the first time in her life, Greeta is beginning to realize she has nowhere to fit in. And she could be facing a lonely life without love or a family of her own. The appearance of a shaman in her village changes everything. The shaman insists Greeta must learn to walk in the Dreamtime because dark days approach and a key to the survival of all people in the Great Turtle Lands will be a gift that Greeta doesn’t yet know she has. Convinced she no longer belongs in her own village, Greeta leaves with the shaman. 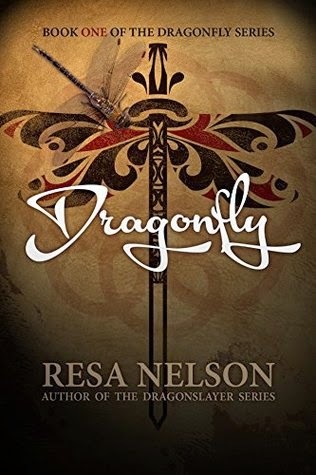 Dragonfly is an engaging YA fantasy story that offers an intriguing premise and a likeable heroine. I enjoyed the idea of looking at the Norse people mingling with the Native Americans, and the different ideologies of the two. The story moved at a good pace and was a pleasant, light and easily read. My only very minor gripe would be that it felt like there was a little repetition at times, with characters repeating information (either to themselves or others) of which the reader was already aware and did not need to be told again. But other than that, it was very readable prose and a lovely story idea. I would certainly be happy to read on in the series and see how things work out for the characters.